Cast iron cookware may not be the first product you think of when you hear the words “product recall”. But in fact, just because cookware is a relatively simple product without many moving parts doesn’t mean there isn’t much room for error in the manufacturing process. Macy’s made headlines back in 2011 when they recalled almost one million units of an enamel cast iron casserole from the Martha Stuart Collection. The product posed laceration and burn hazards to consumers. 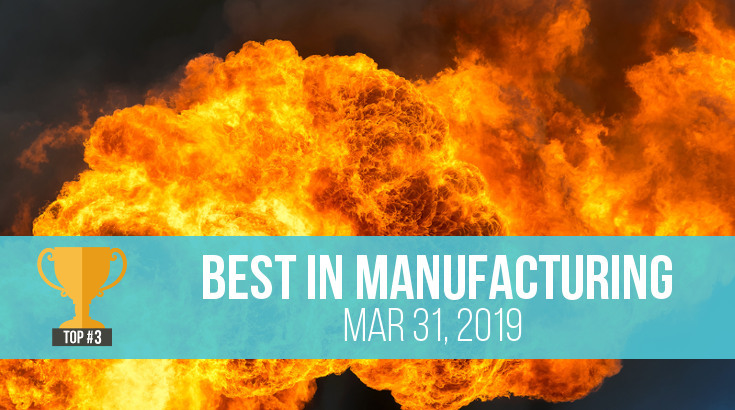 As a cast iron cookware importer or purchaser, it’s your responsibility to protect your customers from these hazards and other types of quality defects. And due to the unique properties of the iron alloy, production processes can lead to many different kinds of casting defects. 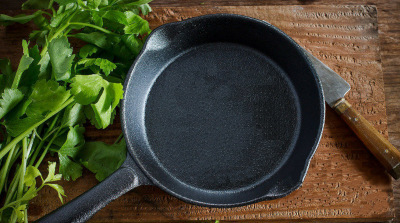 Let’s explore some of the most common defects in cast iron cookware to help you avoid a potential recall and improve your product quality. Read on or click the links below to jump to each of these cast iron cookware defects. Pinholes are a common casting defect found in all cast iron products, including cookware. These holes are almost always visible to the human eye but don’t appear on the product until after mechanical processing. Pinholes typically appear either as spherical holes with a bare metal surface or as a blister with thin graphite skins. They can sometimes also look like larger, irregularly shaped cavities, accompanied by slags or spots of oxidation. 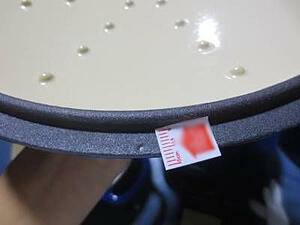 Pinholes are typically found sporadically over large sur areas, just below the surface of the cookware. Professionals typically classify pinholes as “major” or “minor” quality defects during a product inspection, depending on their size and frequency. Many importers of cast iron cookware strive to limit pinholes in their finished goods because pinholes affect the structural integrity of cast iron. Pinholes can also collect food particles that are difficult to remove with normal washing, creating a breeding ground for unhealthy bacteria. 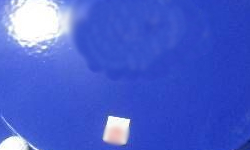 Pinholes typically occur when water vapor reacts with accompanying elements, setting off a chain of chemical reactions. Micro gas bubbles form which are then enlarged by hydrogen and nitrogen. Flash is excess material that can appear as a protrusion at the edge of a component. It’s among the more common defects in cast iron cookware and is also seen in injection molded products (related: 11 Injection Molding Defects and How to Prevent Them). 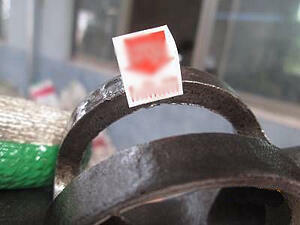 Flash is generally subtle and harmless on other products, like those made of rubber or plastic. But a sharp material on any part of a cast iron pan can cause injury to consumers and expose you to liability. Sharp flash is generally considered a major or critical defect in cast iron cookware. Flash is commonly seen on post-production, pre-packaged cast iron cookware. Poorly fitting molding plates may require redesign, which is often a more expensive rework option for a supplier. Many manufacturers opt to simply increase the mold clamp force to prevent flash and improve cast iron quality. Even if pre-shipment inspection reveals flash in your cookware, your supplier should be able to remove flash prior to shipment. And good suppliers should have a dedicated work station set up before the packaging stage for grinding off any visible flash. Rust, or oxidation, occurs when a cast iron surface dries after a wet surface preparation. 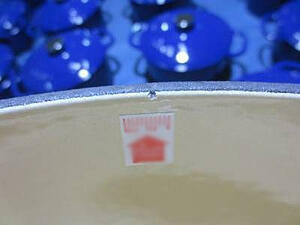 This defect is usually easy to spot because it affects the cookware’s outward appearance. All iron products are susceptible to rust, as iron reacts very easily with oxygen in the presence of water or humid air. But most consumers don’t expect their cast iron to rust for several years, if at all, making this an important defect to prevent in your finished cookware. Rust usually forms when cast iron cookware is left to dry by air, rather than through a steam dryer. 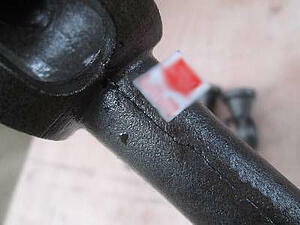 Your supplier should be able to treat small areas of rust easily through chemical means. But heavy rusting typically makes the item unsellable. The presence of rust in finished goods could be cause to reject the order and request rework or replacement goods from your supplier. Sand inclusion is one of the most frequent causes of casting rejection. Sand inclusion appears as lumps of sand grains near the surface of a casting. This casting defect can occur at widely varying positions on a casting but will often appear on or close to the casting surface. Sand inclusions also frequently appear with blowholes and slag particles. Sand inclusion happens when the liquid metal stream tears away grains of sand from the casting mold during pouring. These sand particles then float to the casting surface because they can’t be wetted by the molten metal. A chip is a common and visible casting defect that appears as a small notch or incision in casted products. It’s usually found at the edges of cookware products. Chips occur when the substrate texture is inconsistent or a coarse structure is produced during a subsequent production process or heat treatment. These scenarios cause a rapid decline in the toughness of the substrate texture, allowing the casted product to easily chip. A crack is a more serious quality issue than a chip. 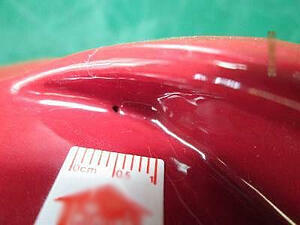 Cracks are usually located on the bottom wall of a piece of cookware and are clearly visible to the human eye. Unlike some other materials, cast iron doesn’t stretch when stressed. Because it’s one of the most brittle iron alloys, it tends to crack instead. These casting defects are usually hairline cracks which one might easily miss or misidentify as a scratch. But in most serious cases, a cracked cast iron product could completely break into two pieces. Cracking of cast iron cookware is normally due to an improper design structure. Uneven wall thickness, in particular, can cause high internal stress levels during the workpiece cooling process. The thin part of the wall cools faster than thicker parts of the wall, producing a large tensile force. When the tensile stress is greater than the ultimate stress of the material, the cast iron cracks. Wobbling or warping occurs on the bottom or base of cast iron cookware. Long or flat castings are more easily deformed and will form a curving shape, usually close to the thickest part of the wall. A warped pan is a serious quality issue, as it can cause liquids to pool in the middle of the warp or disperse to the edges of the pan, leading to uneven cooking. It’s easy to test for and detect warp by placing the cookware item on a flat, glass pane or steel board and observing whether it lays flat. 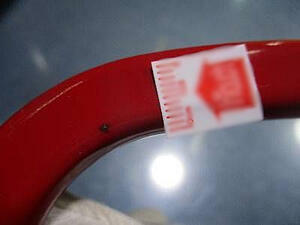 A quality control inspector should always use a feeler gauge when measuring wobbling or warping. This tool will help ensure the collection of precise data for the wobbling or warping base, helping you to remotely determine the severity of the defect. What causes cast iron to warp? Warping is usually caused during the solidifying and shrinking of the casting. Deformation and deflection occur when the casting stress (and sometimes the external force) exceeds the yield strength of the cast iron. This kind of defect appears as an obvious black spot present in irregular positions and locations on the surface of cast iron cookware. 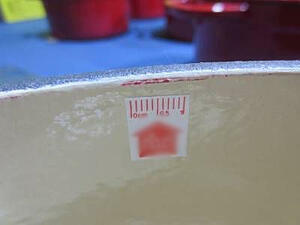 Fingerprint traces remain at the surface of the casted cookware, causing oxidation. This black residue appears on the surface of the casting’s deoxidized layer. Black residue can occur if the operator doesn’t wear protective gloves and directly touches the surface of the casting after deoxidation. 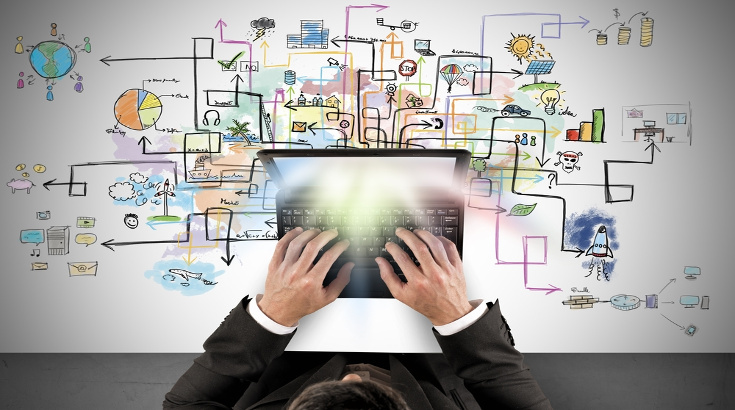 Instruct your supplier to establish protective requirements for the operation process (e.g. the operator must wear gloves at all times when handling castings). Employ a timely, final QC check after deoxidation treatments, prior to packing and storage. Your supplier must also establish strict protections to avoid exposure to harsh environmental conditions or improper handling if they plan to store finished goods for an extended length of time. One effective way to verify your supplier’s procedures and storage controls is to conduct a quality audit of their facility. 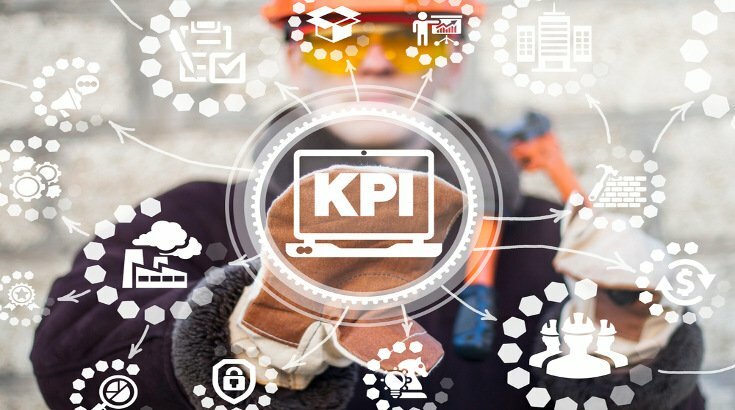 An effective quality audit will include an in-depth check of the factory’s quality management system to verify production controls and storage management procedures. This casting defect appears as variation in the thickness of a panel or wall of a cast iron pan or pot. The wall thickness of certain areas exceeds your desired standard or tolerance. A dent, or dimple, is typically presented on the surface or interior of a piece of cookware. It is a depression defect and is visibly apparent as a partially irregular concave spot. Delamination of the cookware shell, leading to stratification and the separation of the casting layers, is responsible for internal dents. External dents are caused by a difference in internal and external thermal expansion between the inside and outside of the shell during pouring. All measures to prevent delamination of the shell and strengthen the bonding force between the layers can help eliminate dents. Avoiding large, flat structures and flat plane or upward pouring. If necessary, set process ribs and process holes to prevent defects from occurring during pouring. Reducing shell moisture. A shell that’s too wet isn’t suitable for high-temperature furnace roasting. Many cast iron cookware companies also manufacture enamel-coated cast iron. 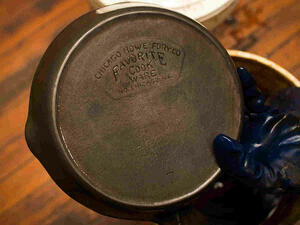 Enamel coated cookware is less likely to rust and is easier to clean and maintain. But enamel application is a complicated process involving many technical steps. Hence, many types of defects can result from this process and affect your cast iron quality. 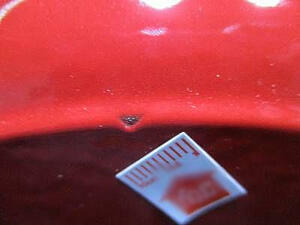 This defect occurs when the manufacturer inconsistently applies enamel coating to the raw cast iron cookware. Enamel can be applied to raw cast iron either through a dry application or wet application process. 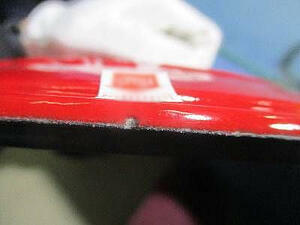 In both cases, operators might unevenly apply enamel on the product, leading to this defect. Dry application processes, in particular, require a high level of operator skill to ensure an even coat. So the percentage of uneven enamel defects found in your cast iron cookware will often highly correlate to the skill of your supplier’s operators. The manufacturer should be able to adjust their technique to ensure a consistent coat. 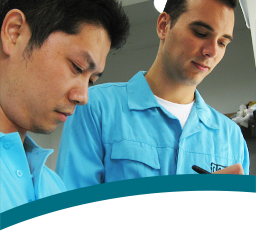 Address any undercoating or overcoating you find during inspection with your supplier (Related: 9 Ways to Improve Communication with Chinese Suppliers). Foreign material, such as dirt, human hair or insects, can be introduced to cast iron during the enamel process or the molding process. Foreign material can appear within the enamel or even the raw cast iron body. 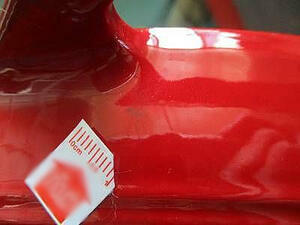 Visible foreign material often hurts the item’s overall appearance. While normally not cause for serious concern, embedded foreign material cannot be removed through factory reworking. If the defect is seen in high numbers, this may be reason enough for you to reject the order (Related: What Do Suppliers Do with Rejected Products?). 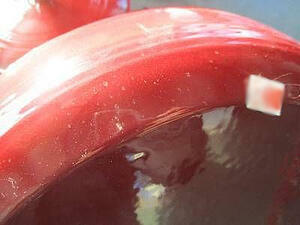 Enamel drip is the byproduct of an improper wet application of a liquid glaze, otherwise known as a glaze slurry. Larger drips often appear as a droop and smaller drips appear like a beaded tear. 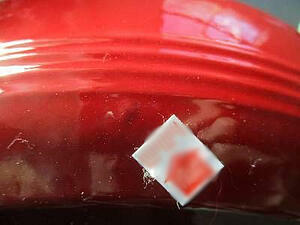 Enamel drips often occur when the enameled cookware is left to dry slowly at a low temperature. Enamel shade variation appears as a hue or brightness deviation from your specified color standard. Many cast iron cookware buyers and retailers choose bright, glossy, visually-appealing enamel to coat their products. And the product color can be a deciding factor for some consumers, who want to display their cookware on their countertops. A severe variation in enamel color might be reason enough for your customer to return the product. And therefore, it may be reason enough for you to consider rejecting the goods. 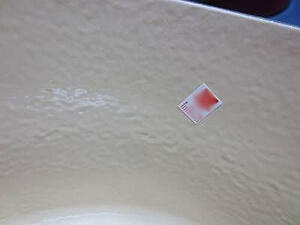 Incorrectly portioning ingredients or storing a glaze for too long before application can cause this defect. Improper firing time and temperature are also common causes. Similar to shade variation, a color stain or spot appears as a different colored toner on the glaze surface or as dirt material in the glazing. But while shade variation is visible as a different hue or brightness of your specified color, a color stain appears on your cookware as a different color entirely. The incorrect color is usually confined to one spot. This defect can happen when the correct enamel powder is splashed with different colors of toner, dirt materials or other elements prior to coating or firing. Like with many of the above casting defects, a quality audit can help you identify any lapses in your supplier’s organization or cleaning procedures that result in color contamination. Orange peel is a major quality issue in enameled cast iron cookware. After the products are fired, the enamel surface resembles that of an orange peel – bumpy and uneven. Before taking any action to correct product processes, ensure your supplier is using a high-quality glaze that isn’t susceptible to the orange peel effect. Low-quality glazes are more likely to be affected by orange peel than high quality glazes. With cast iron cookware’s recent surge in popularity, competition between cookware brands is fierce. You’ll need to manufacture a quality product that’s both safe and visually appealing if you want to be a major player in the cast iron cookware space—that’s no simple task. But now you know some of the most common and problematic types of defects to look out for before you ship your finished cookware products to your customers. That puts you in a better position to give your customers the products they expect. And meeting quality expectations is half the battle when it comes to successful sourcing and manufacturing. How do you set clear tolerances and standards for casting defects with your cast iron cookware supplier? Share your tips in the comment section below!